Wow. The Streaming Media Readers' Choice Awards have always drawn a tremendous number of votes, but this year was something else; More than 58,000 votes were submitted on almost 350 products, services, and companies in the online video space. From cloud services to webcasting, and almost two dozen categories in between, there were more categories than ever to choose from, and our readers responded with more enthusiasm than ever. So here are the finalists—the top three vote getters in each of our 25 categories. 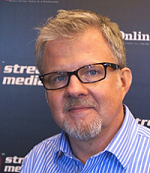 We'll announce the winners at Streaming Media West in Los Angeles on October 31. Thanks to our sponsors: Wowza, Digital Rapids, Livestream, and Telestream.